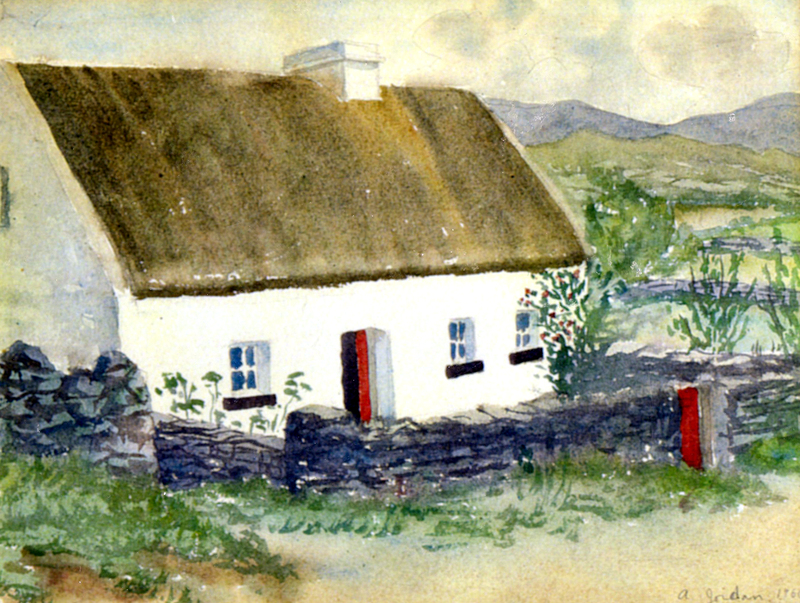 Nuala and Harry Walshe’s thatch cottage at Béalnalappa was built around 1890. The cottage was situated on the old main road to Galway. Pat O Brien and his sister Sarah lived there before Nuala and Harry. A part of Sarah’s spinning wheel is still stored in Nuala’s attic. It was a four roomed cottage – two bedrooms, a large kitchen and a back kitchen. There were two out houses, a turf shed and a cow shed with two stalls. Indeed the 50’s, 60’s and 70’s there were challenging times in Ireland but families tried by every means possible to become self sufficient. Let the light shine on them. This page was added on 20/10/2012.